This back drop is both formal and allows your event colors to pop! This 3D effect gives the illusion of actual 3D flowers. Great for weddings and other formal events as well. 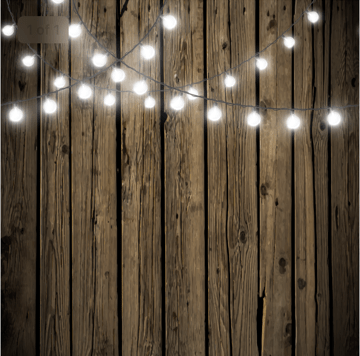 This back drop is great for a more rustic feel. 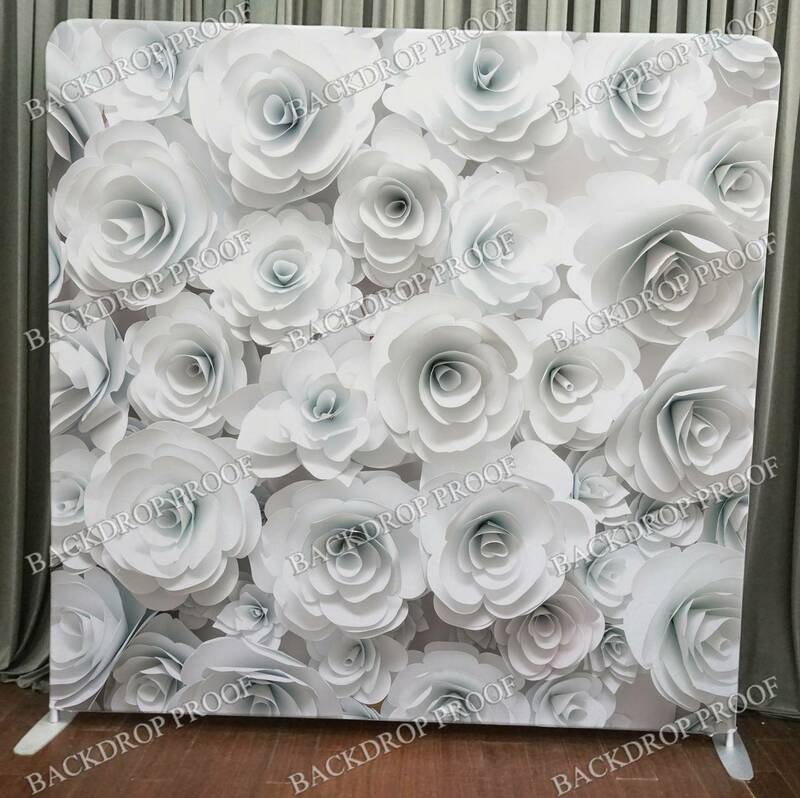 This backdrop will also go well with formal as well as more laid back events. 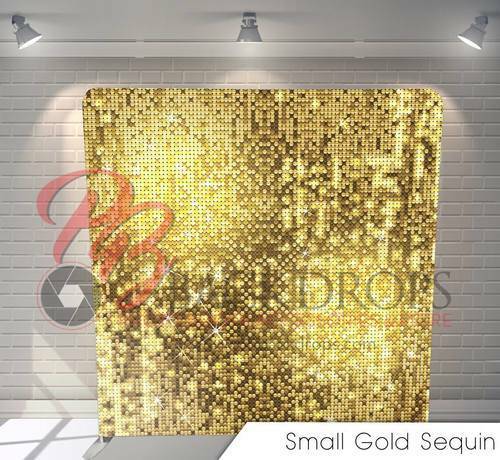 Our gold sequins back drop adds a fancy look to any event. This is a print and not actual sequins. You will be hard pressed to tell in the photos. We also have this design in silver. Much like our gold sequins back drop, this print will turn any event into something glamorous. 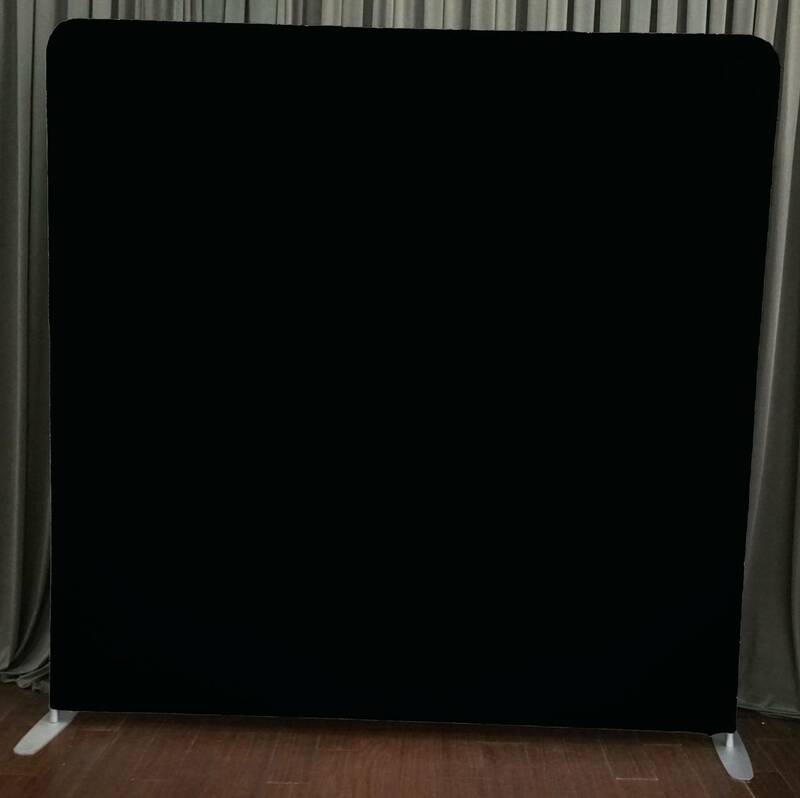 Always a big hit with any photo booth package. 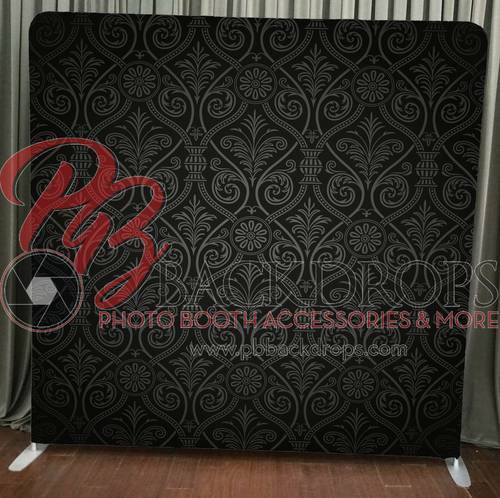 This background is great for a masquerade event or any black tie event. Crisp and formal. This simple black background keeps focus on the guests. Nothing in the background to distract. This background is great for highlighting your guests as well as your custom created digital frame. 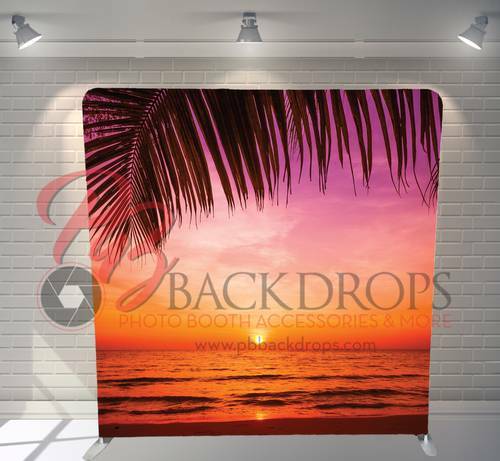 This backdrop is perfect for any luau themed event. Send your guests home with a taste of the islands! 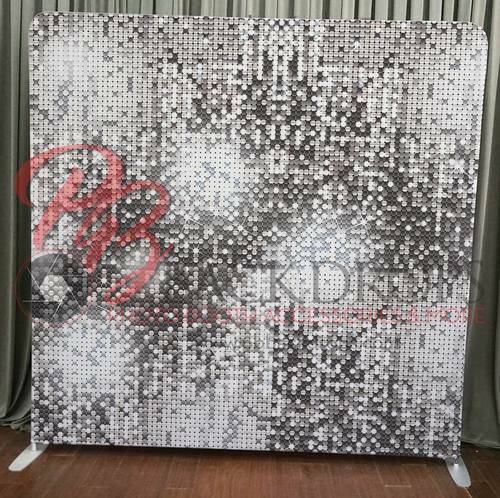 This back drop is great for themed events that require an unusual backdrop. Some examples would be, a pirate ship on the water for a pirate themed event, a corporate logo for your company event.. etc. Anything you can imagine basically. 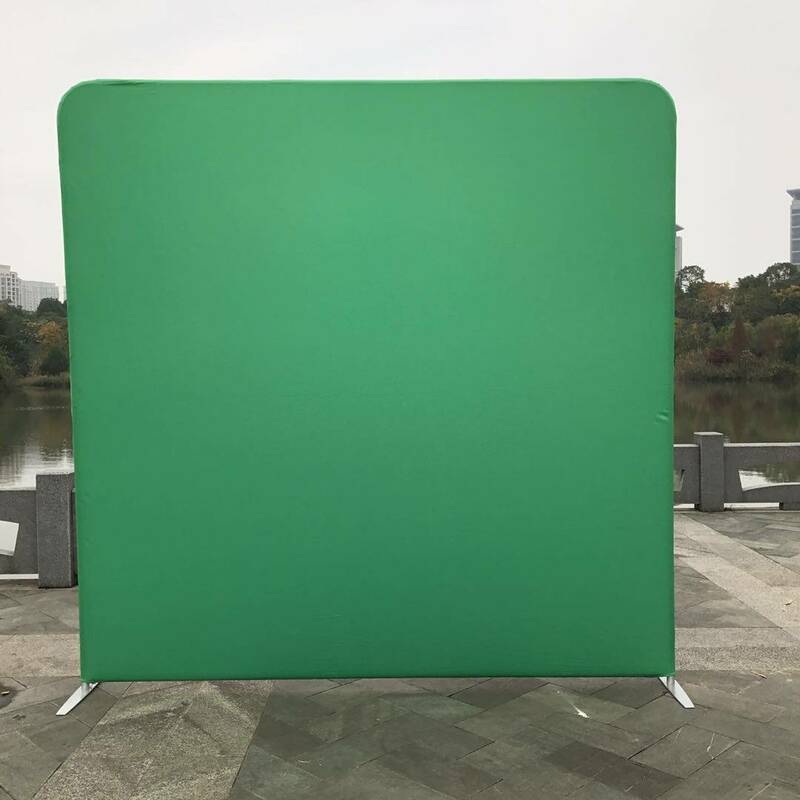 There is a $50 up charge for this background as we have to purchase the photo for the backdrop along with the additional set up time with the software.